When you have a fire in your home you can be confident in SERVPRO to handle your restoration needs. 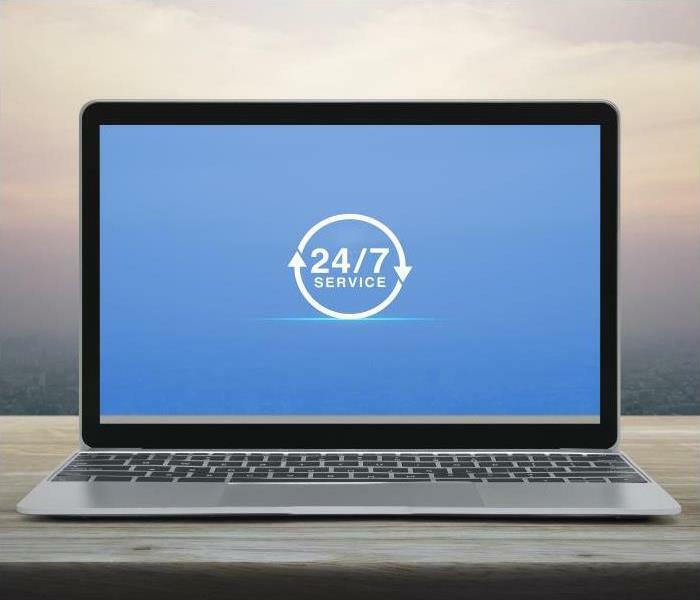 We are available 24/7 so don't hesitate and call. The aftermath of a fire in Colton leaves your home in a chaotic condition, perhaps making you feel as though you and your family cannot live there again. Our fire remediation experts have training, experience, and equipment that is up to the challenge of bringing your devastated home back to preloss condition. We work with your insurance company to make sure the work we do for your property is covered under your policy, both for contents and structural components. Water remediation is one part of the fire damage recovery process for your Colton home that might surprise you. Firefighters do not stint on the use of water and chemical extinguishing agents as they work to save your dwelling. Water damage can be extensive. Our crew members are undaunted as this phase of the remediation is expected, and our employees hold multiple certifications in disaster restoration from the IICRC. SERVPRO work crews arrive in fully-stocked vehicles, commercial strength pumps and water extractors ready for water removal. We also have air movers, heaters, and dehumidifiers, drying equipment that prevents moisture from causing more harm and inhibits potential mold growth. As the water remediation proceeds, SERVPRO crew leads are planning for soot and smoke cleanup. 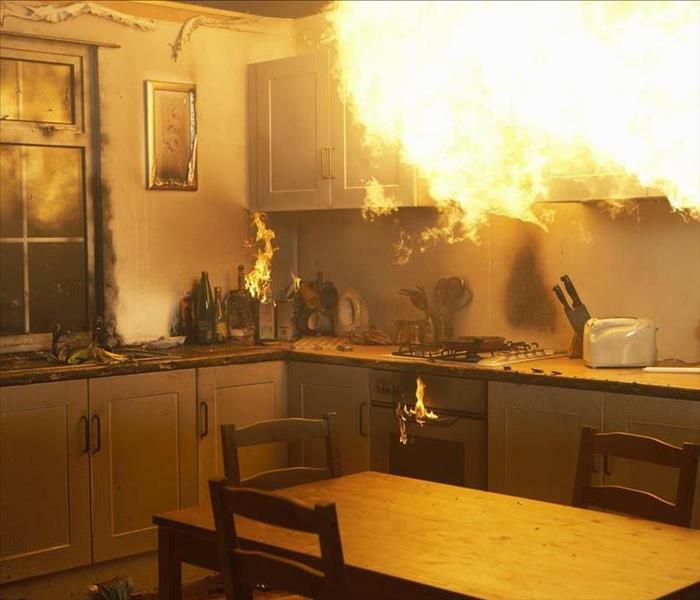 Residues from a fire are incredibly toxic and corrosive, and the methods we use to remove them vary depending on the types of materials combusted as the fire moved through your home. Paper and wood leave a light, ashy debris we dry sponge and vacuum. Electrical and fabric fires smolder, depositing thick, sticky soot requiring agitation or abrasive action along with cleaners that contain wetting agents and surfactants that loosen the soot. Protein-based soot from kitchen and grease fires leave a thin, highly odiferous coating that clings like lacquer or varnish. Specialized cleaning solvents safely used by our experts remove these residues. SERVPRO also attends to the strong smells associated with fire damage, working through a protocol that starts with discarding charred objects and deep cleaning, working through other strategies including advanced technological equipment like thermal foggers, ozone machines, and hydroxyl generators. Your first call after the firefighters leave should be SERVPRO of Colton / Loma Linda / Grand Terrace. We have the skills, equipment, and proven methods to make your fire-damaged home “Like it never even happened.” Contact us at (909) 514-1900 for round the clock assistance. Looking for employment opportunities in Colton, click here for more information about openings in your area. After A Water Damage Disaster In Your Colton Home, Call Our Crew Of Skilled Experts For Help! Contact us at (909) 514-1900 for assistance with your water emergency 24/7. Homeowners in Colton might be surprised to know how many different ways water can harm their dwellings. Water is a necessity for humans, pets, and plants, and helps accomplish a vast number of tasks inside our homes. When it becomes uncontained, however, water can cause severe problems. Deterioration of building materials and contents follow water incursions swiftly. Professional water loss mitigation halts the destruction and prepares your home for restoration. Waiting for natural draining and drying is a mistake a property owner cannot make with water damage in Colton. If moisture lingers for more than 24 to 48 hours, tiny spores absorb the water and begin their growth cycle into ever-expanding mold colonies. Molds join the water in destroying structural components such as drywall, insulation, wood, and more. Our expert team of managers and technicians assesses the damage and begins the water removal and structural drying that prevents further harm and limits or avoids microbial growth. We secure the scene, ensuring additional water intrusion stops. Standing water exits via pumps and wanded extractors. Our team holds multiple certifications from the IICRC, including vital training in moisture metering and scanning for hidden pockets of water. We release water trapped behind walls using industry best practices and use baseline moisture readings in structural components to establish a drying plan. Our service vehicles hold all the equipment needed for water mitigation, allowing us to transition to drying without missing a beat. Air movers, heaters, and dehumidifiers roll off our trucks as we store the pumps and extractors. SERVPRO technicians position the drying equipment most optimally to pull moisture out of the porous building materials. Specialized equipment like floor drying mats attends to the challenges of suctioning moisture out of several layers to prevent distortion of the materials as they swell after water absorption. SERVPRO of Colton / Loma Linda / Grand Terrace has the trained technicians, experience, and equipment necessary to manage any water damage scenario fast. Contact us at (909) 514-1900 for assistance with your water emergency 24/7. Click here for more about Colton. 4/10/2019 - After A Water Damage Disaster In Your Colton Home, Call Our Crew Of Skilled Experts For Help!